Tasted at a Decanter organised tasting called A Half Century of Superlative Port at the Landmark Hotel, London, on the 14th November 2010 with Johnny and Paul Symington. Extraordinary amount of fruit on the nose and in the mouth. Wonderful toffee, syrupy flavour. Excellent. Ex-cellars (5 of the remaining 19 bottles of library stock were brought by the Symingtons for this Masterclass). Deep orange in colour, deeper than the Warre 1960, 50% opaque. Lively mace and nutmeg on the very open and inviting nose. Sweet and gentle entry, full of gingerbread and caramelised orange. Big mid-palate, lively acidity. Delicious aftertaste, followed by a long and intense finish that even dries the cheeks slightly. 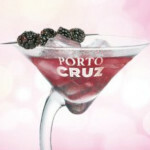 An amazing port, that is in the perfect place for drinking. 95/100. Drunk 14 November 2010 after 6 hours decanting.